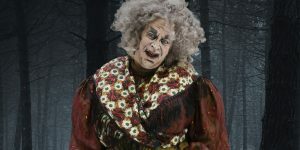 Concordia voice instructor Robert Clark, otherwise known as the Edmonton Oilers anthem singer, shines as The Witch in Edmonton Opera’s current production of Hansel and Gretel. “I’m just this larger than life, kind of grotesque figure [and] it’s just so much fun,” he says. 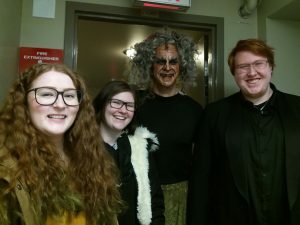 “There’s so much depth to it, so much character that I can put into it.” He stole the show in Thursday’s dress rehearsal, according to several Concordians who attended. 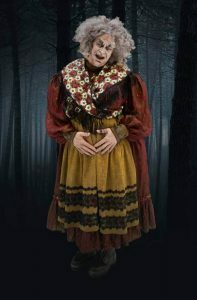 The show runs through next Friday, February 8, and is appropriate and engaging even for elementary-aged children, judging from the audience response. Tickets available here. Read the Edmonton Journal preview by Concordia English professor Mark Morris here.